Ahead of next year’s general elections, 13 political parties in Edo State under the banner of Progressives Registered Political Parties (PRPP), have adopted Hon. Patrick Obahiagbon and Mr. Washington Osifo as their candidates. 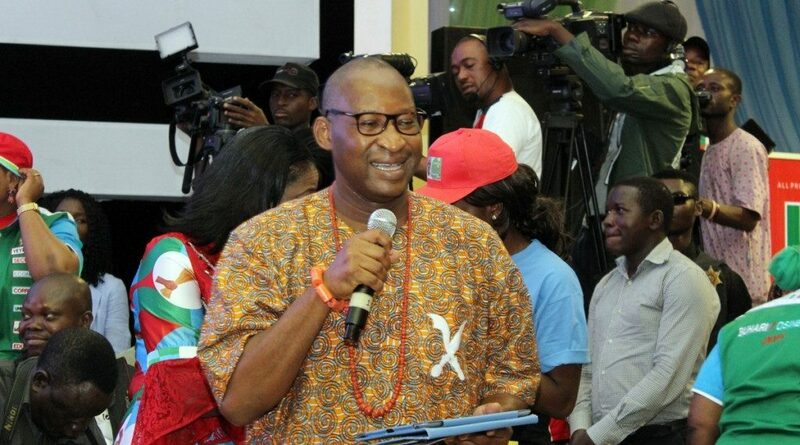 Obahiagbon and Osifo are candidates of the All Progressives Congress (APC), seeking to represent Edo South senatorial district in the Senate and Uhunmwode Constituency in the Edo State House of Assembly, respectively. Announcing their adoption, spokesman for the PRPP, Comrade Ogbodu Orlando, who is also state Chairman of Independent Democrats (ID), said they had followed Obahiagbon political career and were happy with the APC. “We stand here today to adopt Hon. Patrick Obahiagbon for Edo South Senatorial district and Hon. Washington Osifo for the House of Assembly. “We believe in Obahiagbon because we have watched his antecedents from being a councilor to the state House of Assembly and the House of Representatives. We all believe in him and know that he can perform,” he said. Responding, Obahiagbon praised them for making democracy to thrive and assured them that the joint partnership would be cultivated and the dividends of democracy delivered.